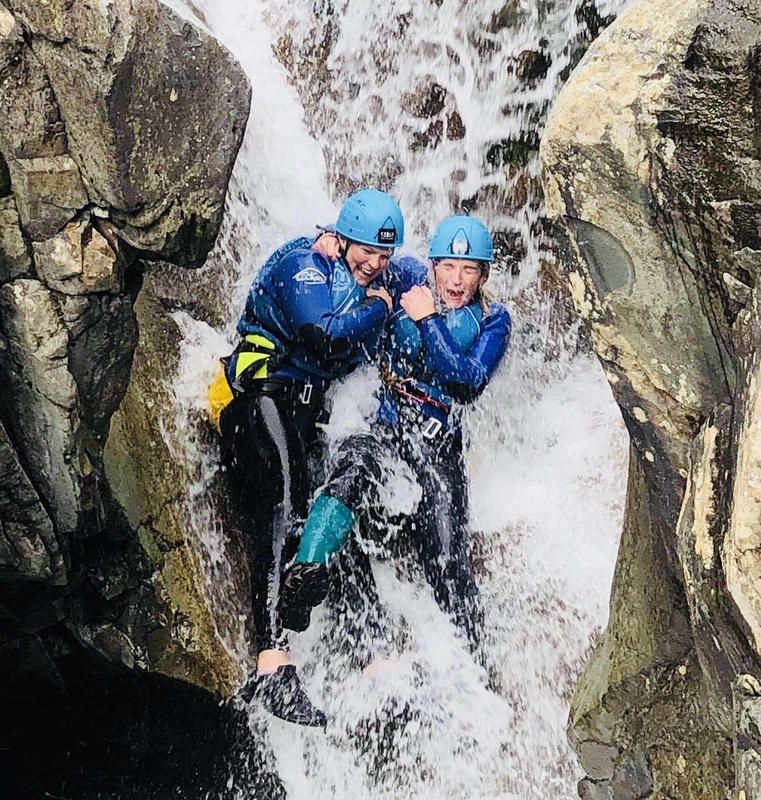 A canyoning style descent of Church Beck – This is a very aquatic outing that involves sliding, jumping and being lowered on a rope down waterfalls. No previous experience required. This version is for adults and older teens only. 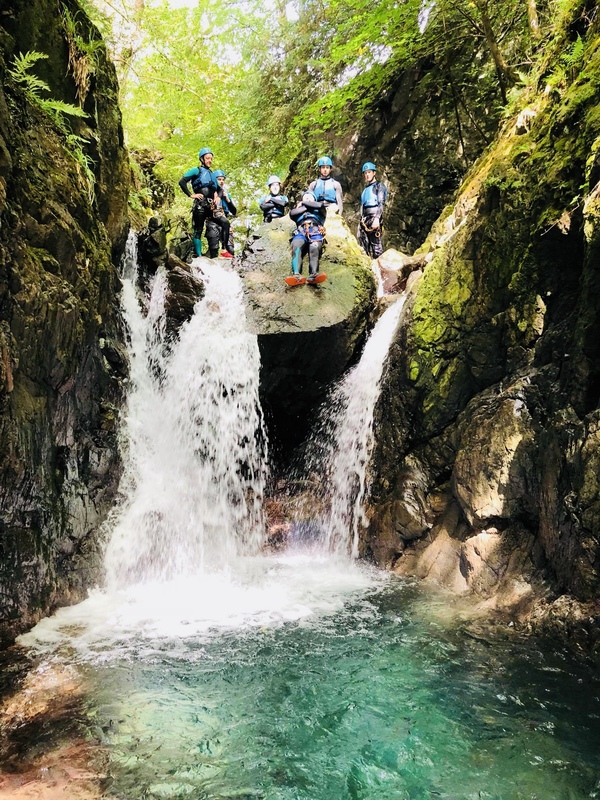 All that is needed is a realistic level of fitness, no fear of being fully submerged in water and an adventurous nature. 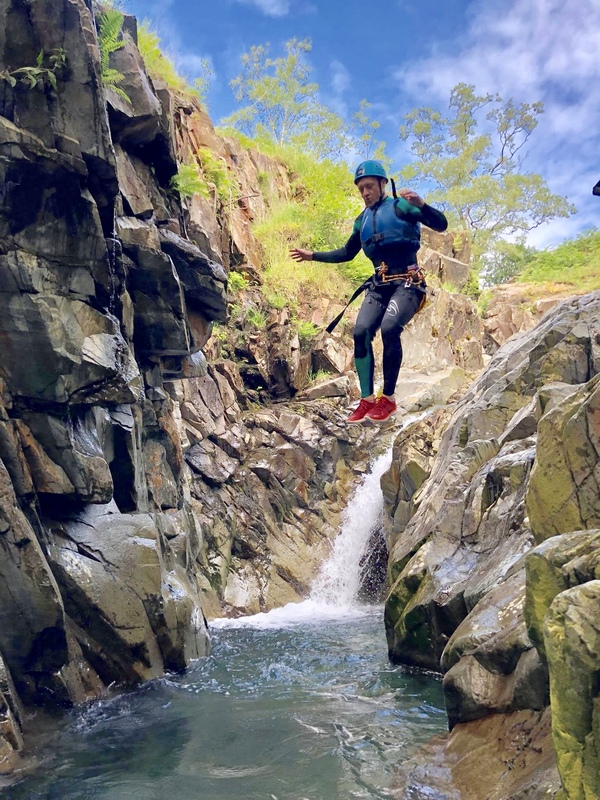 Only the jumps are avoidable without affecting your experience, if you avoid anything else you will be basically walking along the path watching. This really isn’t a good option for those who do not like water or getting their face wet. Church Beck Canyon is located in the South of the Lake District National Park. It runs from the foot of the mountain called “The Old Man of Coniston” just below the “Coppermines”. 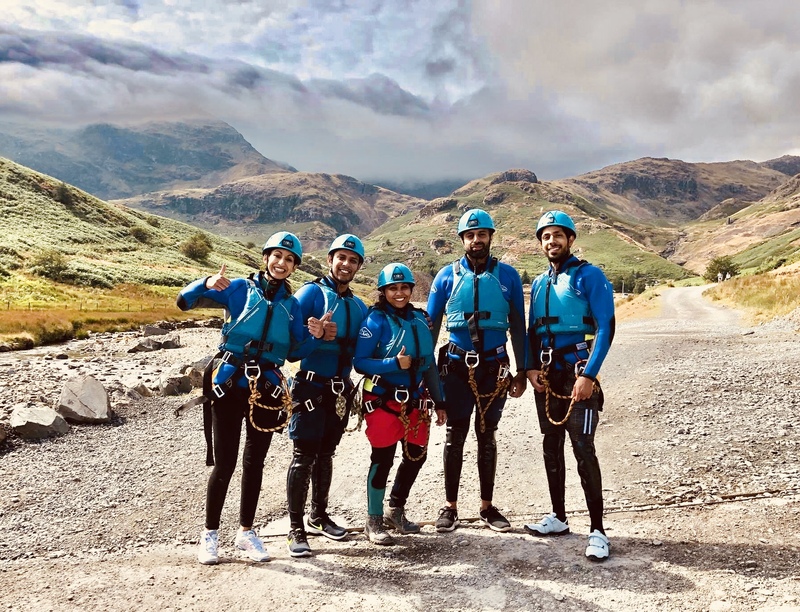 The start point of the canyon is accessed via a 15-20 minute moderately steep walk from the meeting place in the car park on Old Furness Road located at the top of the town of Coniston. This location has no changing facilities. Changing will take place in our special changing tents. 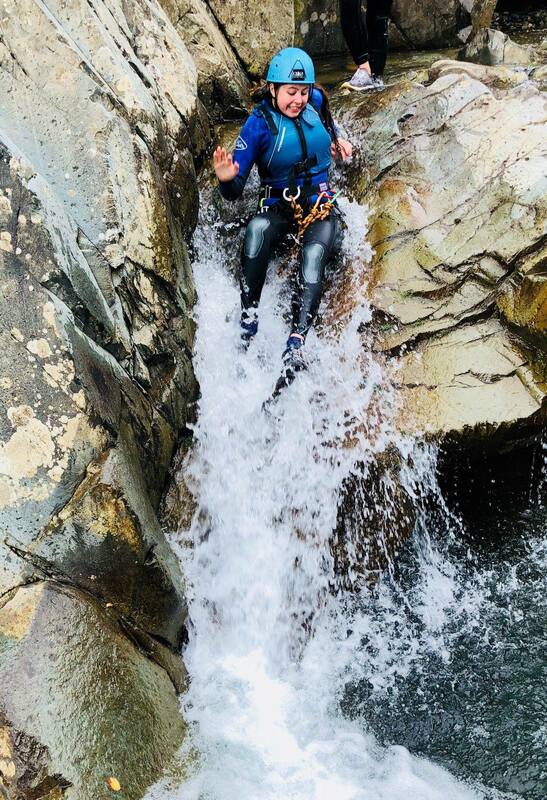 It is a great canyoning experience that involves descending the canyon known as Church Beck. 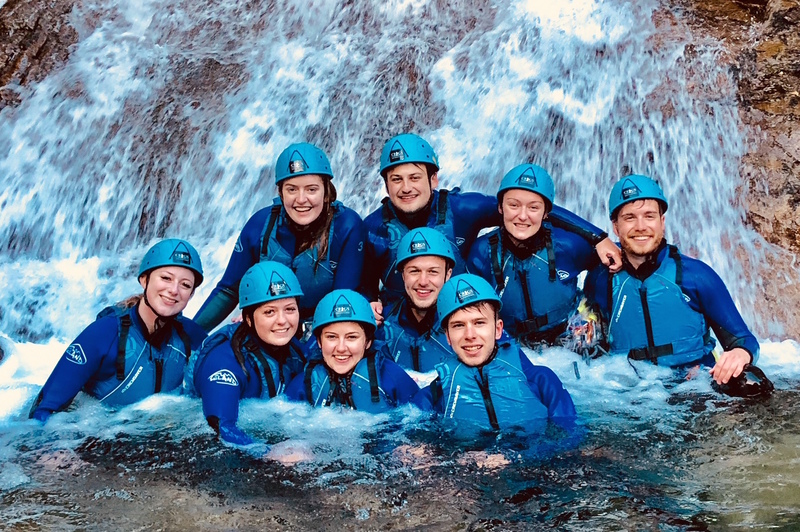 There are a variety of challenges you will encounter along the way such as – sliding, jumping and being lowered on a rope down down some great waterfalls. It is a very aquatic outing that takes place in and around both fast flowing and deep water. 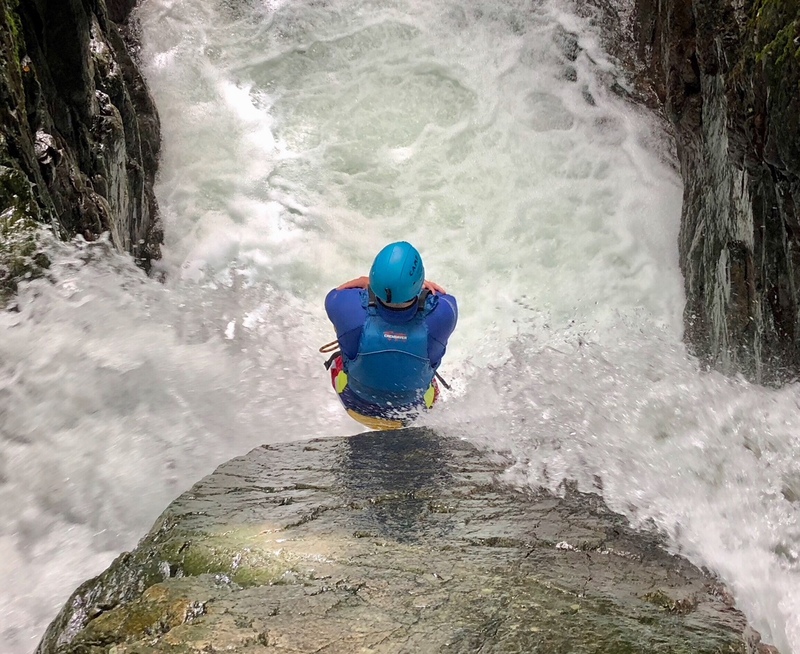 The ghyll can and will be ran in times of moderately higher water levels (group dependant), however there is a fine line between “exciting” and it being “dangerous” – this is due to the ghyll being very “river-like” rather than “stream-like” due to many mountain streams feeding into it. 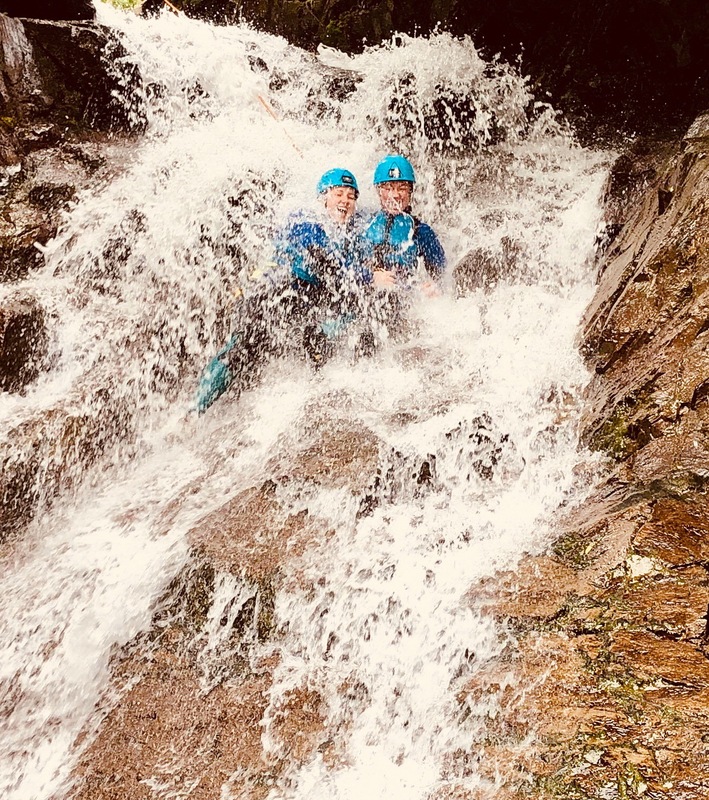 When the water level is high the canyon can be very fierce – however, we have built up a lot of experience and clocked up years of experience in all conditions in this canyon and we will make the right decision of whether or not to run your session – A safer bet in times of flooding is Stickle Ghyll + Upper Falls in Langdale (we tend to default to this ghyll when Church Beck is too dangerous to enter). 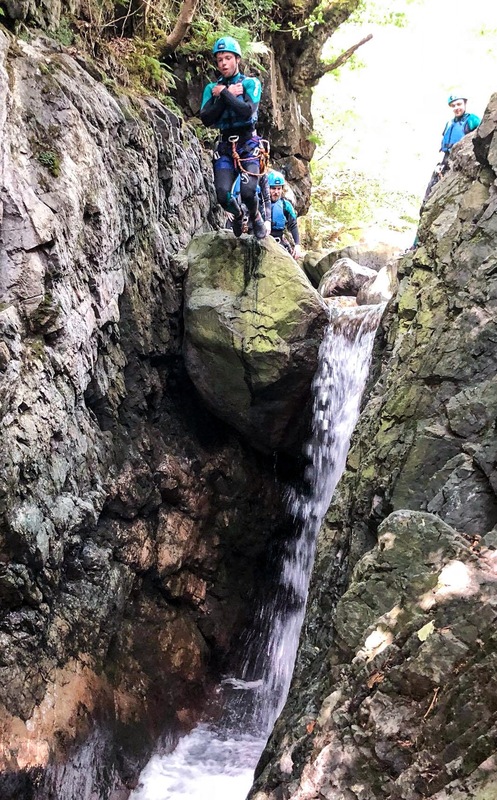 A positive thing about the canyon being “river-like” rather than “stream-like” is that it doesn’t run dry/low in prolonged spells of warm dry weather that we tend to get during May/June. 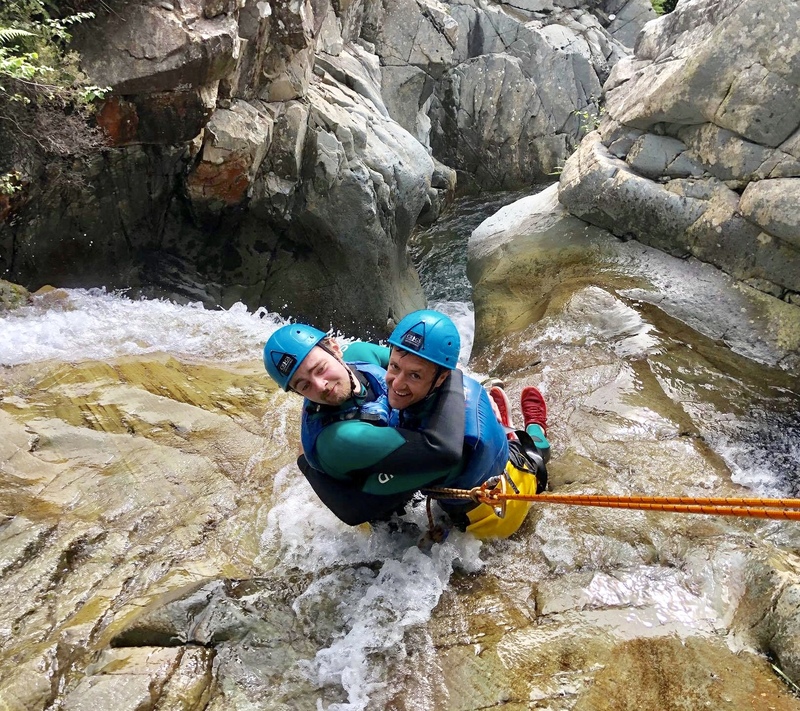 This is fine for “first-timers” – no previous experience is necessary. 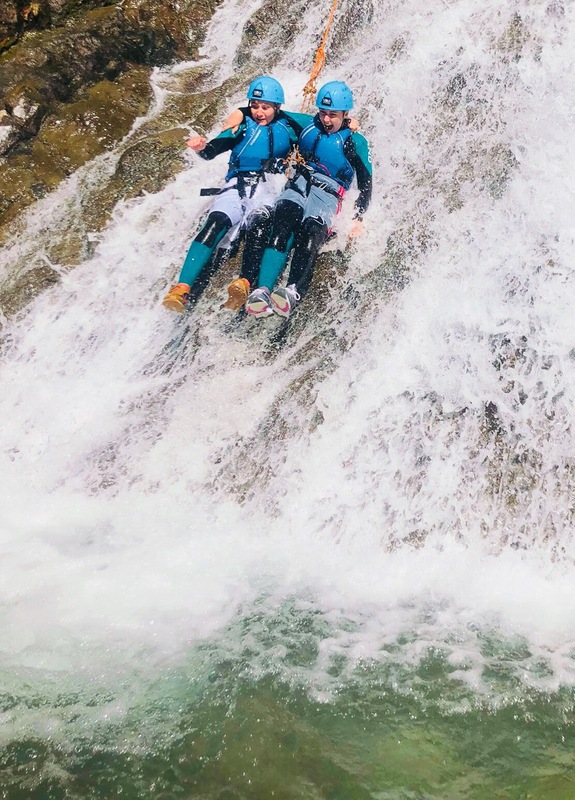 The canyon is for adults and older teens only as it is more “extreme” than the standard version of Church Beck . You must be confident in water as this is a very aquatic outing. 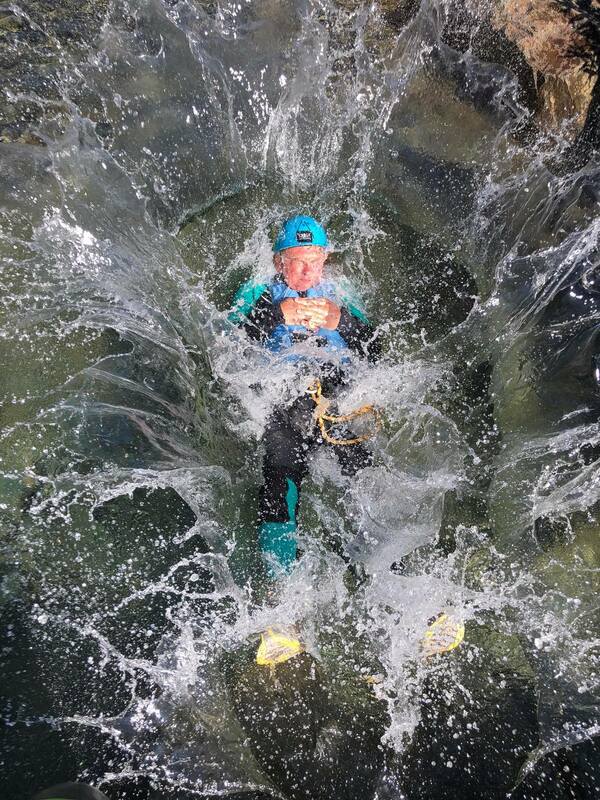 All participants must be ok with getting fully submerged in/being around both fast flowing and deep water. The ability to swim is useful but not essential as the buoyancy aids will keep you afloat when necessary. A realistic level of fitness is required for this as it is a physically demanding activity. The jumps carry the highest risk and therefore can be avoided for those who do not wish to jump. We try to time our sessions so we experience the canyon at its quietest times during the day. The canyon version of Church Beck see’s much less traffic than the standard due to its higher expense and its higher skill required to run it. This makes this outing even more special as you usually get it to yourself. We start the season in February and end it in November. Please be aware that the sessions go ahead even if it is cold, windy, raining and even snowing to a point. Please have this in mind if you book for the colder months as there is more chance of poor weather and you need to be up for it. 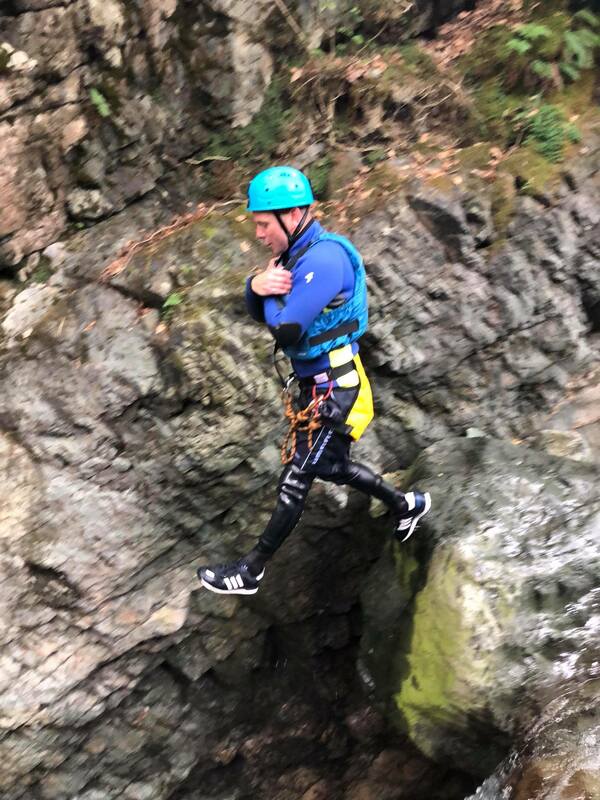 So to reinforce the point further – please expect for the canyoning to go ahead even in poor weather and if you are not keen on this idea then don’t book. 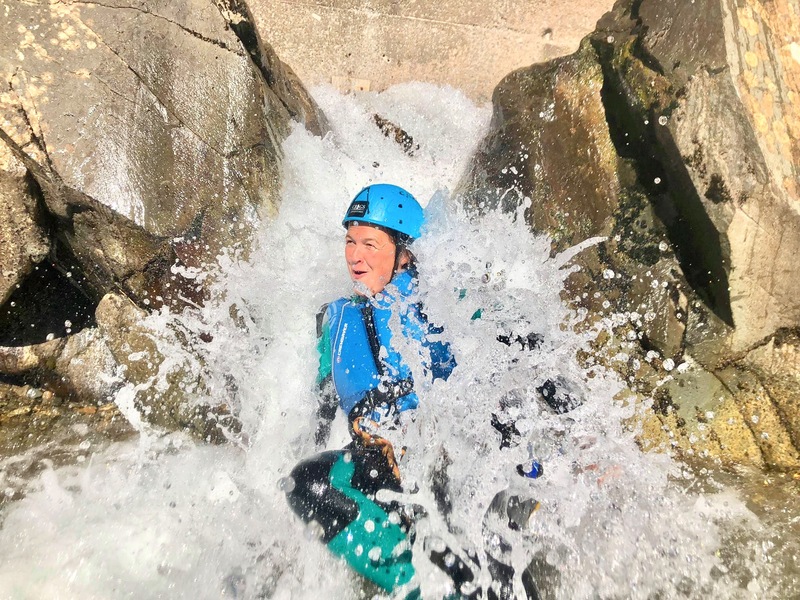 The only time we cancel this activity is if the conditions make the activity unsafe – and this decision is made by the instructor and is usually due to dangerously high water levels. The meeting point is Old Furness Road, Coniston, LA21 8HU. This is an industrial estate with parking. There are free spaces to park here but have change handy in case these are taken and you have to use the Pay and Display area. You are looking for a silver logo’d van parked up on the road. Please leave enough time for travelling as there is no refunds for people who turn up late.